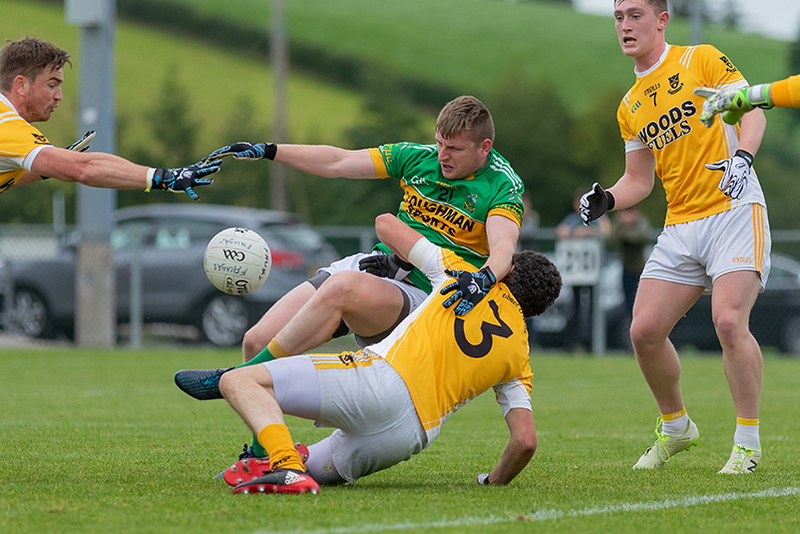 It took extra time to see Clontibret into the semi final in this very entertaining contest that was played in Inniskeen on Saturday evening where an opportunist goal in the second period of extra time sealed the issue. At the end of a closely contested first half Castleblayney, who made better use of their chances led by 1-4 to 0-5, Martin McElroy with all their scores while Conor McManus accounted for two of Clontibret’s points from frees. The second half was equally close with the sides level on 3 occasions and Clontibret taking a brief lead entering the final ten minutes. Castleblayney responded with another strong period that saw them open a two points lead and chances missed at both ends but Clontibret fought back for points by Michael Paul O’Dowd and Colm Greenan to send the game into extra time with the score at Castleblayney 1-10, Clontibret 0-13. Castleblayney led at half time in extra time by 1-12 to 0-14 but the score that turned the tide in Clontibret’s favour came in the 4th minute of the second period when Michael P O’Dowd pounced on a clearance and drilled to an empty net to send them on their way. Teams and Scorers: Clontibret: D McDonnell, K Lavelle, C Greenan 0-1, B Greenan, D Mone, C Boyle 0-1, C Doyle 0-1,F Hughes, V Corey, M P O’Dowd 1-3, C McManus 0-8 97f), P Boyle, D McDonnell, C Lavelle 0-1, J Gormley. Subs: D Hughes for K Lavelle, M Savage for B Greenan, E McGuigan for D McDonnell. 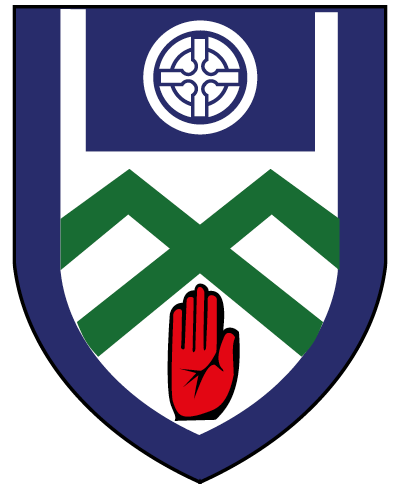 In extra time: K Greenan for C Doyle, K Lavelle for C Lavelle, C Boyle for C Greenan. 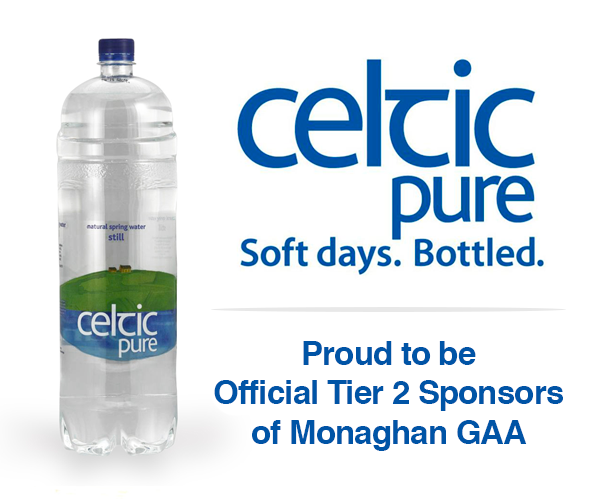 Castleblayney: P McBennett, E McCann, B Hanratty, F Rafter, K Duffy, C Brady, F Malone, M Treanor 0-2, J Beattie, P Tavey, D McArdle, B Flanagan, P Finnegan, D Malone 0-2 (1f), M McElroy 1-8 (0-5f). Subs: M Kelly 0-1 for P Tavey, C Hanratty for P Finnegan, J Walsh for F Rafter. In extra time: D McMahon for C Brady, B MvElroy for J Beattie.